If you want to adjust body background color for individual page. In the below of the page, you can see Page Options. In the Page Options Tab please select the General. 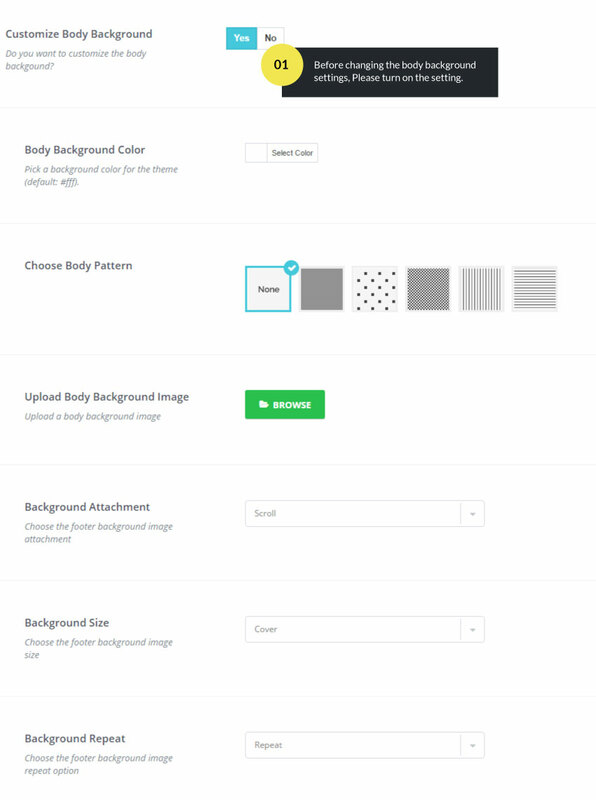 If you want to adjust body background color for blog, archives, search, single blog and 404 pages, Please go to Appearance > Theme Options > Choose appropriate settings panel and change the body background color.